Fuchsia arborescens hardly looks like a fuchsia until you look up close at the flowers. And it makes for a rather small tree. The biggest that I have seen was about 15 feet tall. Fuchsia arborescens is tender if there is frost. 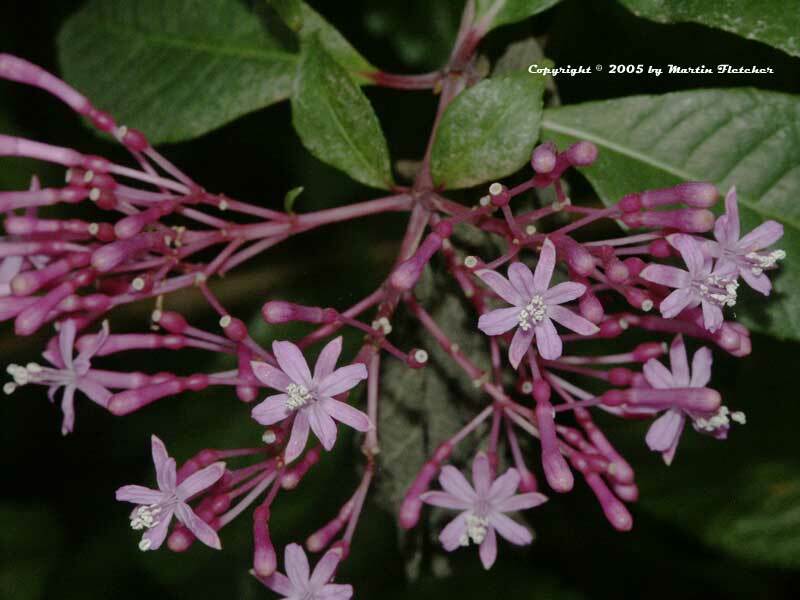 Fuchsia arborescens grows its best in the shade but can tolerate full sun if it is growing near enough to the coast. These flowers are displayed most of the warmer portion of the year. Such a free flowering plant deserves a greater distribution in gardens. Fuchsia arborescens has had little damage by the Fuchsia thrips. But if your garden is already battling the thrips I would not plant this one. Clusters of pink flowers Fuchsia arborescens Tree Fuchsia. High resolution photos are part of our garden image collection.